A report that talks were held by Rupert Murdoch about selling television and film assets to Walt Disney added one more layer of uncertainty to his bid of $14.5 billion to acquire all of Sky in Britain. Recently Disney discussed acquiring 21st Century Fox’s television and movie production studios, its cable networks National Geographic and FX and its international assets such as India’s Star network and a stake in Sky, a news outlet said on Monday. Those talks were not ongoing at this time, the outlet said. Fox has placed a £10.75 per share bid to purchase the remaining 61% of Sky that it does not already own. However, the deal remains in regulatory purgatory and is not expected to leave that vast sink hole at least until the middle of 2018. Shares of Sky, which Monday dropped to their lowest value since the first announcement of the deal, were down 1.3% in midmorning Tuesday trading in London. Analysts have said they still believed in a successful conclusion to the bid by Fox for Sky, as being the likely outcome. However, the talks between Fox and Disney threw a curveball into the prior deal that now seems to be less certain than before. 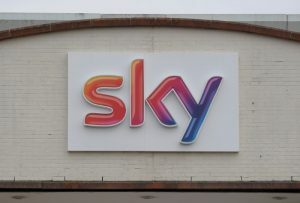 The report said that Fox might end its bid to acquire Sky as part of a possible sale of its assets, and the report noted that the willingness of Fox to consider including the stake in Sky in any sale might be seen as being a signal it feels not as confident in gaining British government regulatory approval. However, one analyst in London said that a tie up of Fox and Disney content would strengthen rational for acquiring all of Sky. The Britain-based company was starting to build a streaming platform that would be pan-European with its Sky Ticket and Now TV products, and adding in Disney content and that of Fox would make it that much more compelling said analysts. The analysts at one large bank in Britain said that if for any reason the deal between Fox and Sky were to be blocked, Disney could become a possible strategic bidder to acquire Sky and the analysts said the cross-media complications that the deal with Fox has, would not be involved with if Disney were involved.